Are you frustrated by the number of shoppers who add products to their cart, but then leave without actually purchasing? In this case study, we’ll share how a photography educator battled WooCommerce cart abandonment and recovered 21% of those forgotten carts with one simple button. Scott Wyden Kivowitz is a father, photographer, educator, blogger, and author, a storyteller with a camera. He talked with us about how he is using OptinMonster to grow his photography brand. 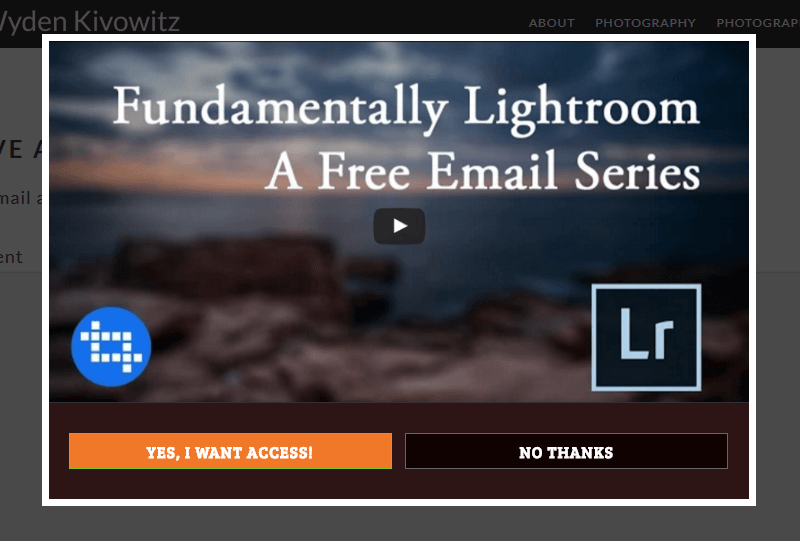 Scott offers his readers a free video course about how to get started using Adobe Lightroom. The offer is made in a lightbox optin, targeted to display on any page of the blog. It triggers only when the visitor has viewed at least two pages, and then scrolls 50% of the page. By configuring the optin this way, Scott is targeting highly engaged readers, who may be more likely to complete the free video course once they receive it. It converts around 3.3% of readers, adding dozens of readers to his email list every month. The free course is intended to move subscribers towards purchasing his more in-depth, paid Adobe Lightroom Course. 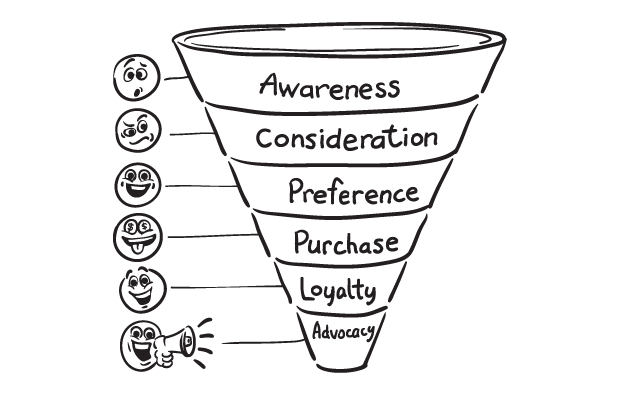 Readers who visit a product page and then add it to the cart are considered to be in the middle of the sales funnel. But according to Shopify, a full 67% of shoppers who add products to their cart eventually abandon carts without purchasing, never making it to the next step. Scott made a decision to try to reduce shopping cart abandonment with one of our exit-intent optins. Like many OptinMonster customers, Scott offers an additional discount to shoppers leaving the cart or checkout pages. That is one of the best ways to recover abandoning carts. However, he removes a point of friction for the shopper by automatically adding the discount to their cart when they click yes, rather than requiring them to copy/paste a coupon code. Scott is using WooCommerce to power the e-commerce functionality on his site. WooCommerce offers an extension which allows store owners to add a unique URL to any coupon in the store. When the URL is used or clicked on, it automatically applies the coupon discount and can (optionally) add products to the customer’s shopping cart. Using the WooCommerce URL Coupons extension, he created a unique URL associated with a 10% discount. Then, he created a lightbox optin using our Yes/No feature. The Yes/No feature replaces the default optin form with Yes and No buttons. The buttons can be configured to launch an optin, redirect to another URL, or to close the optin when clicked. 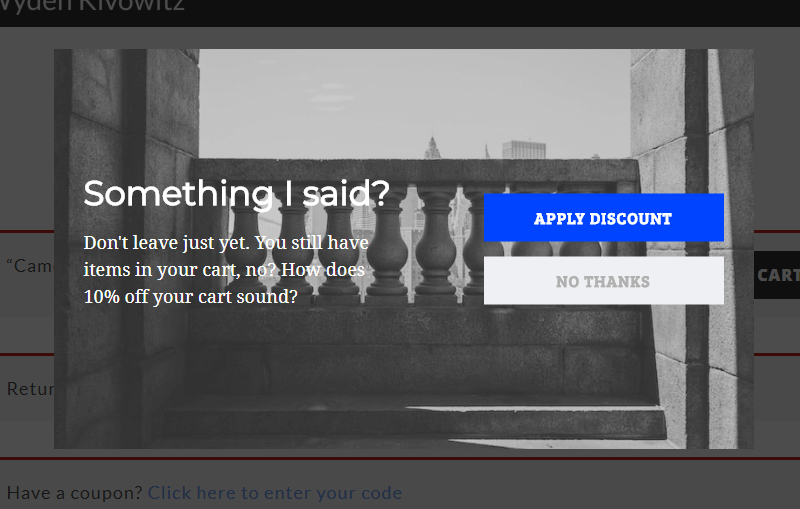 Scott configured the Yes button to redirect to the WooCommerce coupon URL he created earlier, which automatically applies a 10% discount to the cart when the Yes button is clicked. This optin appears only on the cart and checkout pages, when the shopper attempts to exit the site, or is inactive for over 60 seconds. It converts 21.06% of abandoning carts. That’s a huge recovery of sales, every single time the optin appears. I get more than ever on social media. My YouTube channel has grown as more people are seeing it. My Facebook group is gaining about 5 new people daily. My push notifications are also seeing more subscribers. I believe it is in part from getting more people on the email list and then the autoresponders sending my content to those new people. Scott Wyden Imagery filled both the top and middle of his funnel using OptinMonster. Using our lightbox optins, Scott Wyden Imagery grew his email list 328%. Coupling our Yes/No feature in an exit-intent optin with WooCommerce, Scott Wyden Imagery recovered 21.06% of abandoned carts. Ecommerce stores have a huge opportunity to recover abandoned carts using our exit-intent optins by simply applying a discount to the cart directly. Don’t let your abandoning customers go without at least trying to keep the sale! OptinMonster was one of the best decisions I’ve made for my website. It’s helped me grow my email list, sell my products and take on new photography clients. The platform is easy, robust and works with any website no matter how it’s built. Before using OptinMonster, I was getting about 5-10 leads a month. Now I’m getting 30 or more each month.